Catalogue Number: B.2775; Cr.2467; M.159a. 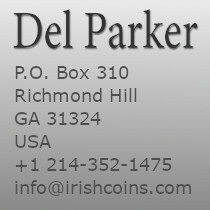 Weight: Pewter 26 x 17 mm. 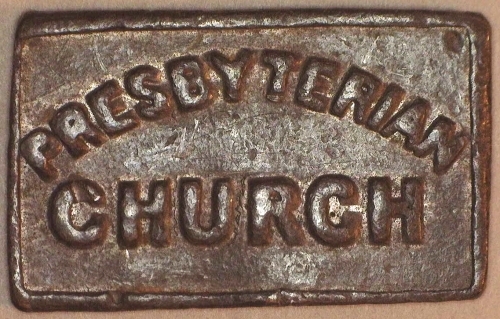 An Irish Communion Token of Gilford Presbyterian Church, Co. Down. Burzinski B.2775; Creswell Cr.2467; Milne M.159a. 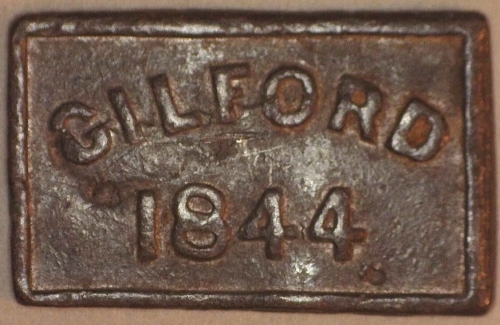 Pewter oblong 26 x 17 mm, Obv GILFORD/1844; Rev. PRESBYTERIAN/CHURCH. Good Very Fine and Rare. $220.